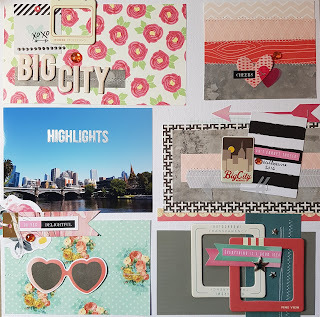 I have a new layout for The Crafty Maven Getaway channel. I have based this layout on the inspiration piece in a few ways. I have used the colour scheme to choose my papers and elements for this page. I have chosen some embellishments to imitate parts of the images as well as using the whole moodboard as the grid design for my layout.